Hi Guys, BIG NEWS today, as I'm NOW taking RESERVATIONS for my Stampin'UP! 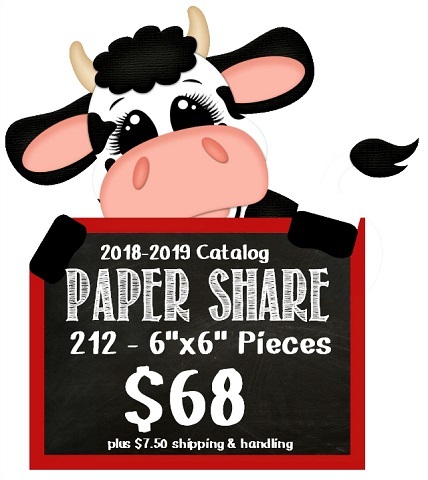 2018-2019 Annual Catalog Designer Series Paper Share. I will also include a piece of the Delightfully Detailed Laser-Cut in your share to show you how delicate and beautiful this laser-cut paper truly is. You will receive 212 pieces of 6" x 6" Designer Series Paper for $68 plus priority shipping and handling of $7.50. Please note that you can add up to 3 shares with no additional shipping costs. If you purchased one pack of each paper, your total cost would be $262 plus the tax and shipping. I'm sure you will agree that investing $68 is a fabulous way to acquire all of the Designer Series Paper to enjoy and create with. If you would like to reserve one, two or even more paper shares, please email me at michelewright62@windstream.net and tell me how many shares you would like to reserve. On May 26th I will send you the invoice with PayPal. Please note that you DO NOT need a Paypal account to pay at Paypal, you simply need a debit or credit card. Paypal processes the credit card for me for a safe and secure transaction. Per Stampin'Up! policy I can NOT invoice you before that date so watch your inbox for the invoice on the May 26th. All invoices need to be paid by May 30th, so I can order all the paper on June 1st. All shares will be shipped to you as soon they arrive. I'm estimating that all shares will ship by June 7th with the exception of encountering any back orders. My May Customer Appreciation is a Color Coach featuring EVERY Color available beginning June 1st with Stampin'UP! Please note that these are 2 1/2" x 3" labeled pieces of EACH CARDSTOCK. All orders of $30.00 or more before tax and shipping placed on my online store with the Hostess Code 66FB4NNC will be qualified to receive the above Color Coach. 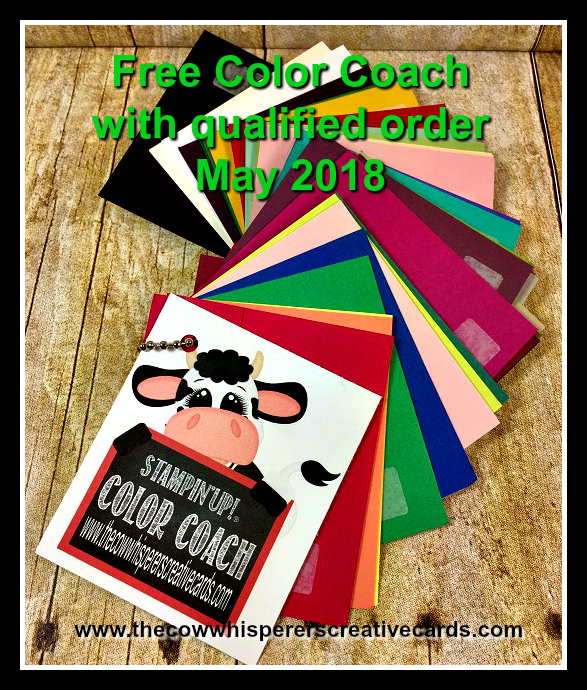 Remember, you MUST enter the HOSTESS CODE above to receive the Color Coach :) If your order is over $150 DO NOT enter the hostess code and you will get all the stamping rewards and I will send you the Color Coach as well. Labels: Designer Series Paper, Paper Share, Stampin'UP!